‘Tis the season to be…sick. 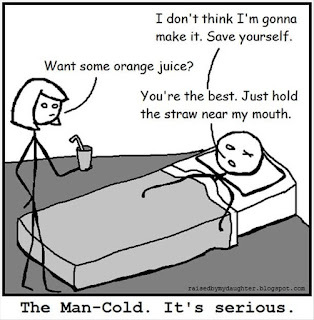 I can attest to this, having just endured a particularly pernicious disease: the dreaded and debilitating man-cold. Over the next several months, employees throughout the country will be missing more work due to sickness. Many of them already have a less than perfect attendance records. Others will injure themselves at work or home or succumb to chronic and sometimes disabling diseases. Deciding when to discipline or terminate sick or disabled employees that cannot come to work or cannot do so with adequate frequency and reliability. Avoiding Americans with Disabilities Act (ADA), Family Medical Leave Act (FMLA), and other claims when dealing with sick and/or potentially disabled employees. Stacia Hill worked for the City of Phoenix police department. Upon returning to work in February 2012 after a lengthy medical leave, Hill advised the City she had ankle problems and a sleep disorder. The City tried to accommodate these disabilities by assigning Hill to the Front Desk Sergeant position, which it characterized as a sedentary desk job, and by giving Hill an 8:00 a.m. to 4:00 p.m. shift, consistent with the recommendations of her sleep doctor. Hill began arriving late and missing some days of work and her attendance worsened in April and May. Hill’s supervisor then held a “coaching session” with Hill. He told Hill that he would be removing her from one of her positions in order to lighten her workload. Hill stated that she viewed this decision as “punishment” for her previous use of approved leave. Following this meeting, Hill stopped reporting to work entirely on May 22. On May 23, 2012, Hill’s psychologist drafted a two-sentence letter recommending that Hill “be placed on stress leave beginning on May 22, 2012 for an indeterminable amount of time.” On May 31, the City sent a letter to Hill explaining that the doctor’s letter was insufficient to authorize Hill’s absence because it “failed to identify a medical condition or provide any information as to the nature of the condition, prognosis, course of treatment, symptoms, duration of the condition, or an anticipated date of return to work.” The letter requested additional information explaining why Hill was unable to work. Around the same, the City sent Hill a letter advising her that her position required her to maintain regular and reliable attendance. Then, Hill’s doctor gave the City a letter explaining that Hill was experiencing “considerable anxiety” which had exacerbated her sleeping difficulties and depression. He recommended that Hill not drive a vehicle, and indicated that it was “difficult [to] pinpoint when she will be able to return to duty, if ever.” Hill’s doctor then provided another letter stating that it was “difficult to say when exactly Ms. Hill can return to work,” but that it would likely be possible once her stress levels improved. On June 26, 2012, the City sent Hill a letter requesting that she have her doctors complete a “reasonable accommodation medical questionnaire” to “clarify [her] medical conditions.” The letter also informed Hill that she had exhausted her leave time and would need to request a leave of absence if she wished to remain employed. Failure to obtain such leave, the letter warned, would constitute job abandonment. Hill returned to work on June 28, 2012. However, she began using unscheduled leave again on July 10th, leaving two hours early on that day, and failing to report on the 11th or 12th. On July 13, Hill came to work but left two hours early, complaining about her ankle. She never returned to work again. On July 17, 2015, Hill’s doctor produced a two-sentence letter virtually identical to the one supplied on May 23rd, again recommending Hill be placed on “stress leave” for an “indeterminable amount of time.” The City responded with a letter advising Hill that her doctor’s letter was not sufficient to authorize her absence, and requesting that she provide acceptable documentation of her medical condition and contact her supervisor immediately regarding her intentions to return to work. The letter further informed Hill that failure to report to work by July 27, 2012 would be classified as job abandonment. On July 30, 2012, the City sent Hill a letter stating that because she had not reported to work or provided acceptable medical documentation, the Department would classify her as having abandoned her job. The letter further informed Hill that the City would consider reinstating her if she could establish that her absence was due to circumstances beyond her control. This request was denied, Hill was fired, and her EEOC claim and lawsuit soon followed. Initially, things look good for the City: the court ruled that Hill was not able to perform the essential functions of her job in or after July 2012, and that no reasonable accommodation would have changed this fact. For this reason, it granted summary judgment and dismissed Hill’s unlawful termination claim. (4) implementing the accommodation that is most appropriate for both the employee and the employer. An employer must participate in the interactive process upon receiving notice of the employee’s disability and desire for accommodation or in circumstances in which an employee is unable to make such a request, if the company knows of the existence of the employee’s disability. An employer’s duty to engage in the process continues as long as the employer is aware that the initial accommodation is failing and further accommodation is needed. Expect your conduct in accommodating — or failing to accommodate — a sick or disabled employee to be heavily scrutinized if that employee is subsequently terminated. Months of patience and discipline can be ruined by failing to explore and document all potential accommodations to allow an employee to return to work or have additional time to recover. Fortunately, Hill-type situations do not occur frequently. But when they do, (1) understand the law and (2) contact experienced employment law counsel to develop and implement a plan that ensures compliance with the law, a fair shake for your employee, and that your business stays out of court. When not battling man-colds, Art Bourque of Bourque Law Firm can be found here tackling HR, employment, and other business issues for both companies and individuals. When and under what circumstances to allow ill or disabled employees to take leaves of absence sometimes bedevils business owners and human resource professionals. However, with knowledge and planning, dealing with employee absences can be relatively straightforward and simple. This edition of the HR Law Insider addresses the most common situations that arise and how to deal with them. (1) Broken arm, flu, or similar temporary injury or illness: typically, employers allow leave or sick time for employees to deal with broken bones, the flu, and similar maladies. There is no legal requirement to allow such leave or time off. HOWEVER, once an employer does allow such leave, it should apply its policy consistently and in accordance with its employee handbook. This will eliminate the potential for viable discrimination claims based on alleged unfair treatment. I have defended (and sometimes prosecuted) numerous discrimination claims involving, among other groups, minority, pregnant, and older workers. The inconsistent application of a leave policy — for example, allowing a 25 year old white male leave, while denying leave to a similarly situated older minority worker — is a common trigger for such claims. To defend this type of discrimination claim, a company must come forward with a bona fide business reason as to why it seemingly favored one employee over another — why it allowed one worker to take a leave while it fired the other for not coming to work. (2) Mental disorder, such as OCD, depression, or bipolar disorder: a serious mental disorder may require an employer with 15 or more employees to make a reasonable accommodation for the employee under the Americans with Disabilities Act (ADA). A reasonable accommodation might include the granting of a leave of absence. (3) Chronically bad back, cancer, or other chronic physical disability: an employee with a chronically bad, cancer, or other serious physical disability may have the same rights to leave as the employee with a serious mental disorder. Each situation must be evaluated carefully and on its own merits (or lack thereof). Part of the evaluation may include obtaining information from the employee’s health care provider to verify the employee’s condition and, later, to determine whether the employee is fit to return to work. (4) Pregnancy: as strange as it sounds, in the eyes of the law a “normal” pregnancy is viewed the same as a broken arm or the flu for purposes of granting leave requests. For example, if a male employee with a broken arm is provided with four weeks’ leave, but a pregnant employee is subsequently denied leave because the employer says it “doesn’t give time off,” the latter could credibly argue that the employer has violated the Pregnancy Discrimination Act (PDA). The PDA prohibits discrimination against pregnant employees and provides that such employees shall be treated no worse than other “injured” employees that have been provided leave during an injury. A pregnancy with serious complications may trigger application of the ADA and/or FMLA as well as the PDA. If applicable, the FMLA would require the employer to provide leave of up to 12 weeks, while the ADA might require a leave of absence or other accommodation to allow the employee to continue employment. (5) Spouse or child of employee has serious illness: For employers with over 50 employees, an employee with a family member with a serious physical or mental problem may trigger a leave requirement of up to 12 weeks under the Family Medical Leave Act (FMLA). IMPORTANT NOTE: Many employers fail to consider that their particular city, county, and/or municipality may also have a law(s) concerning mandatory leave. This is the exception to the rule — most do not. However, businesses should always ask counsel whether their local jurisdiction requires employee leave separate and apart from any federal or state requirements. Understand, there are any number of employee issues that may trigger discretionary or mandatory leaves of absence. When in doubt, be consistent. Equally important, contact legal counsel if there is any concern about, or potential for, a discrimination lawsuit or other claim. Handling potential leave situations is relatively straightforward: identify the type of leave at issue, know the law and whether leave is mandatory or discretionary, and be consistent. Long employee absences sometimes pose significant problems for employers — lost production, administrative burdens, etc. Granting a leave often requires a great degree of patience and discipline. Exercising these virtues will assure that your business complies with the law and reduces the risk of employee lawsuits.